Address: 682640 Khabarovsky Kray, Amursk, Amurskaya St., 14. Zapovednik Bolonsky, in the Amursky and Nanaisky Districts of Khabarovsky Krai, was founded in 1997. Its area is 103,6 thousand ha. 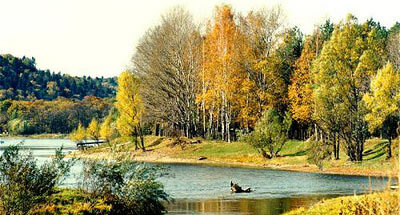 It is located in the lowest part of the Middle-Amur Lowland. It includes lake Bolon (33,3 thousand ha) and adjacent wetlands. 49 streams go to the lake, the greatest of them being the rivers Simmi, Kharpi and Syumnur. Lakes are numerous. 80% of dry land is occupied by different types of bogs, muskegs being the most frequent. The main species which dominate are: bog moss, heather, shorthear, sedge, cotton grass, and horsetail. 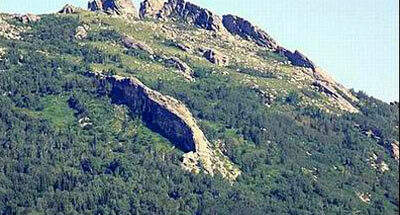 Between the rivers Kharpi and Simmi there grow larch forests with undergrowth of ground birch. At the borders of the lake terraces broad-leaved elm-ash forests grow, formed of Manchurian ash, valley elm, Amur lime, Japan and balsam poplar, and Korean cedar. Shorthear meadows with Carex schmidtii, Angelica maximowiczii, Lathyrus hirsutus, marsh horsetail are met. Along the shores of the lake thickets of Scirpus tabernaemontani, Typha latifolia, Carex vesicaria, and Glyceria lithuanica are spread. Thickets of water plants are formed by Nymphoides peltata and Nymphaea tetragona. Underwater plants include Myriophyllum verticillatum, Sagittaria trifolia and other species. Flora comprises many endemic, relict and rare species (Scirpus komarovii, Phellodendron amurense, Gastrodia elata, etc.). Among the mammals species belonging to water and coastal habitats are characteristic – otter, raccoon dog, acclimatized American mink. On near-lake valleys elk and roe are common in summer, brown bear is characteristic. Great number of rare birds' species as noted near the lake — Ciconia boyciana, mandarin duck, Japanese crane, peregrine falcon, fish hawk, and erne. 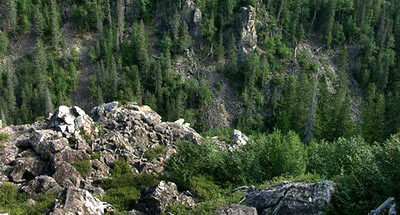 The territory of Zapovednik is on the List of Wetlands of International Significance.